Manufactured in the 60s by Crown Devon this pattern was adapted from the 60s fashion designer Mary Quant‘s ‘Carnaby daisy’ design. 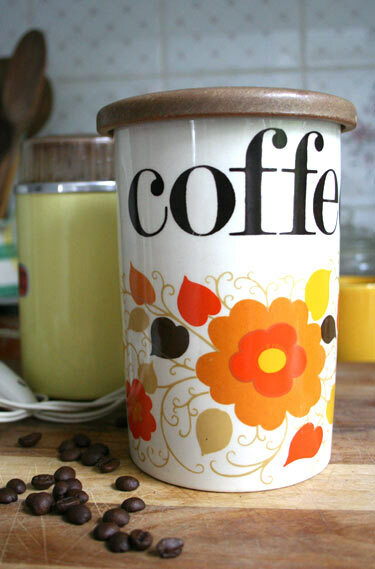 Painted in the era’s most popular colours of reds and oranges this jar is a perfect example of the 60s ‘Flower power’ spirit. Bargain: Kentish Town charity shop for a couple of £.